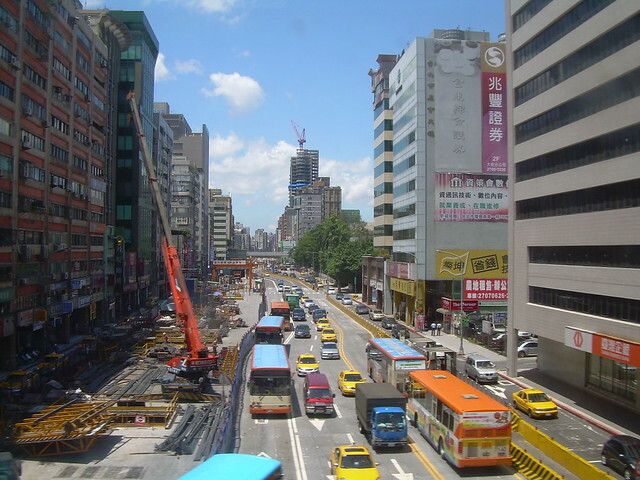 Taipei is a cosmopolitan city with many fine museums, theaters, and interesting sights. 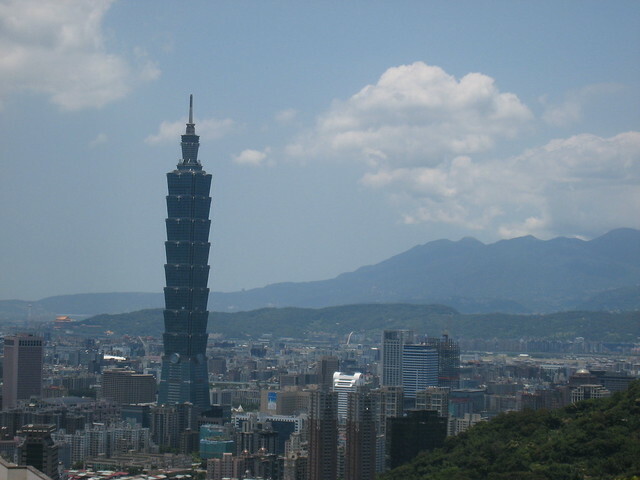 The Taipei International Financial Center is the world’s second-tallest skyscraper (the tallest is the Burj Khalifa in Dubai) offers views of Taipei from the eighty-ninth floor observatory. There are many temples to visit in Taipei; many welcome visitors to see the beautiful interiors and learn about these houses of worship. The Longshan Temple is a red-roofed Buddhist temple painted in gold in West Taipei. The neighborhood surrounding the temple is filled with fortune-tellers, traditional architecture, and the colorful feeling of old Taiwan (very different from the area around the Financial Center skyscraper). Taiwanese food is rich and varied with influences from China, Japan, Fiji, and other neighboring countries. As in all island nations, seafood plays a major role in Taiwanese cuisine. Dishes such as shrimp dumpling and oyster omelets are classic ways to turn a bit of seafood into a meal. Although Taiwanese beef noodle soup is a classic dish, the Taiwanese generally prefer to eat pork. You’ll find pork stuffed into dumplings, tossed with noodles, dropped into pots of soup, and shaped into blood sausage on a stick. Despite the common preparation of pork and fish, there are many good vegetarian dishes and restaurants to be had in Taipei. Dried tofu is incorporated into many meals or eaten as a snack. Outside of vegetarian restaurants, however, you will have to be careful of dishes that appear veggie-friendly at first glance but include fish paste or meat broths. In addition to traditional Taiwanese cuisine, you’ll find a wide variety of restaurants serving international specialties. Chinese, Thai, Japanese, and Vietnamese restaurants are most common. Taipei is a vast city with many fun, unique shopping districts from Shilin Night Market to shopping malls filled with your favorite international brands; there is a little something for everyone. At the Taipei International Financial Center (also known as Taipei 101), you’ll find a large shopping mall filled with your favorite luxury brands, the largest English-language bookstore in Taiwan, and a food hall specializing in imported foodstuffs. For unique gifts, try the Weekend Jade Market where you’ll find jade gifts, a multitude of other handmade items, and a colorful flower market. Near Longshan Temple, you’ll find herb shops and Buddhist goods. Several stores sell handmade shoes on Yuanling Street. And for books, you’ll find tiny, dusty used bookshops tucked into every corner of the city and bright, shiny new bookstores marking their territory in every modern shopping district.